Ravencon is a fun little convention that keeps growing — It used to be in my hometown of Richmond but now it’s in Williamsburg, right next to Busch Gardens where I spent many days riding roller coasters when I was younger… This year, the writer Guest of Honor is Melinda Snodgrass (who I interviewed on this blog 7 years ago — I’ll finally get to meet her in person)! 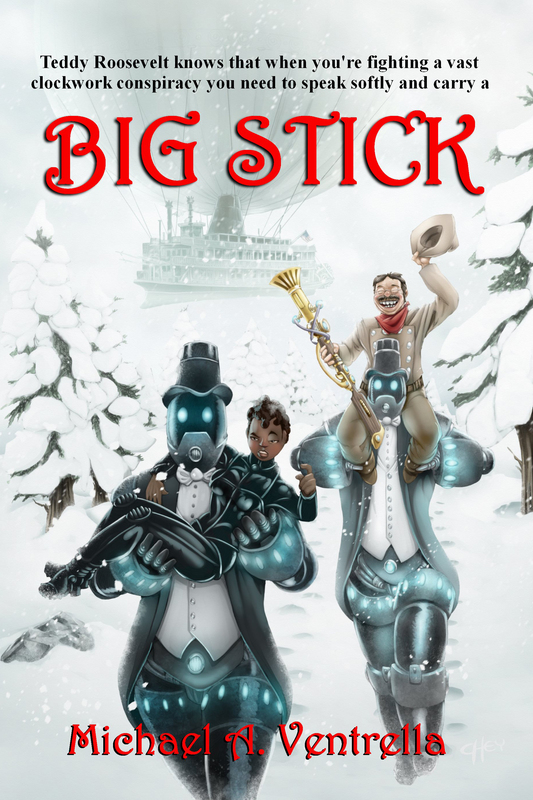 Reading (Saturday 3:25 pm): I’ll be reading from my latest novel BIG STICK. Masquerade Pre-Judging (Saturday 7 pm): My wife Heidi Hooper is one of the judges for the Masquerade, and I’ve been appointed to give all the participants a prep talk and instructions on how to present your costumes to best show the audience and judges. Here are some pictures from previous Ravencons!